The summer months can be very hot and sticky. Unfortunately, we cannot be at the beach 24 hours a day, enjoying the surf and the wind. What you need is breathable and lightweight fabrics that keep us cool from within. Hold it in your hand. If the fabric is light and airy, then it will be comfortable to wear. A heavy fabric is likely to make you feel uncomfortable. You will also sweat a lot. Go for fabrics that are made of natural fibers – cotton, line, rayon. Store away your polyester and wool garments. Also, make sure to choose lighter shades. Light colors will reflect heat and light, keeping you cool. A-line silhouettes, loose trousers, airy and long dresses are all good for the summer. Loose shapes will allow the air to circulate around your body. 100% linen is breathable, light, and extremely comfortable to wear. Natural fiber and light weave provides maximum breathability. This is the perfect fabric for the summer month. Its texture makes linen unique to the touch. Linen is also an extremely sturdy and durable fabric. Plus, the fabric never loses shape too. It is also resistant to stretching. Popular linen shades include biscuit, gray, and white. But darker shades also look good. The rustic appearance of linen makes it look gorgeous. Cotton is probably the most popular summer fabric. This natural fabric will absorb the sweat from your body and evaporate it quickly. It wicks away moisture from skin, discouraging yeast and bacteria growth. Air can circulate freely because of its loose weave. Cotton dries very quickly too, keeping you cool. The fabric is durable and can be machine washed. Plus, cotton is very affordable as well. It is the perfect fabric for a humid and hot day. Look at the range of Cotton, Linen and other summer fabrics at the Tissura store. This fabric is man-made from cotton, natural synthetic, wood pulp, and cellulose. It cannot wick away moisture as quickly as cotton, as rayon is not a natural fiber, but it is still a good fabric to wear, especially in dry heat. The threads are thinner than cotton, so it is more lightweight and delicate. Clothing made from rayon also drapes very well. Rayon is very comfortable to wear. Just remember to dry-clean it. 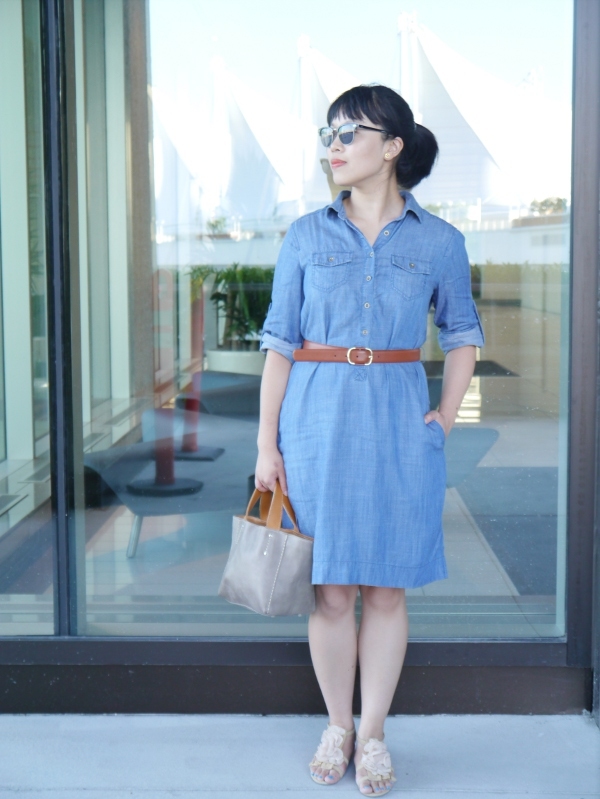 Chambray is often called “imitation denim” because it has the look and feel of denim. But it has a higher thread count so the fabric has a finer weave. This is also more breathable than denim. Chambray is basically cotton, so you will gain from all the advantages of wearing cotton in the summer. Wear chambray in the hot season instead of jeans. You won’t feel weighed down. Jersey is another great fabric to wear in the summer. It is stretchy, lightweight, and extremely comfortable to wear. Light jersey is just 130gsm. This is a good fabric for your dresses, tops, t-shirts, summer style cardigans, and shawls. It dries quickly too, so you can take your jersey dresses to the pool or beach. You don’t have to worry about having to walk back all wet. Previous Previous post: Should You Get Liposuction?